The most extreme anti-terror exercise in Greece began last weekend and will last until December 7th, 2018. Taking place on the island of Crete, in the ports of Souda and Iraklio, the exercise, codenamed “Jackal Stone,” is the annual exercise of the U.S. Special Operations Command Europe (SOCEUR) which will include special forces from the Hellenic police and Coast Guard. 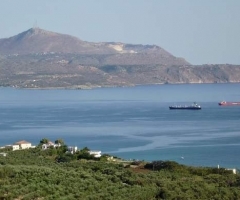 The scenarios of this exercise involve an Islamic State terrorist attack on a large cruise ship and counterterrorist operations on an islet outside Souda and in the city of Iraklio, Crete's largest, according to a high-placed source who spoke to “Kathimerini” on condition of anonymity.